BBB started it's official summer fellowship program in the summer of 2015 with five excellent high school and college students. 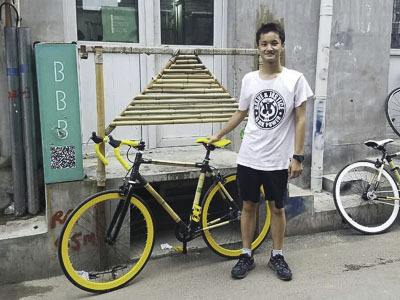 Each fellow built a bamboo bike and engaged in his/her own community project which included community map making, a bamboo skateboard, bamboo craft workshops with the neighborhood committee, and refurbishing bikes. 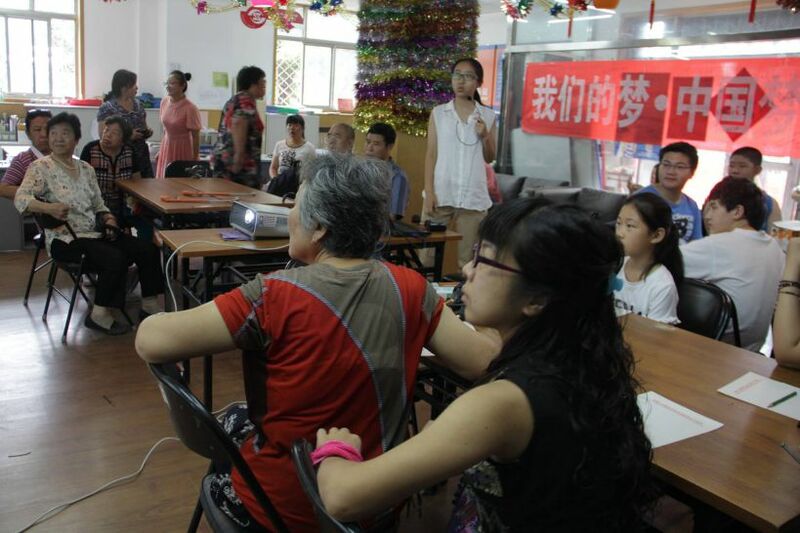 After finishing her final year of high school in Beijing, Yuyuan spent the summer with BBB organizing a workshop for neighborhood grandparents and their grandkids. 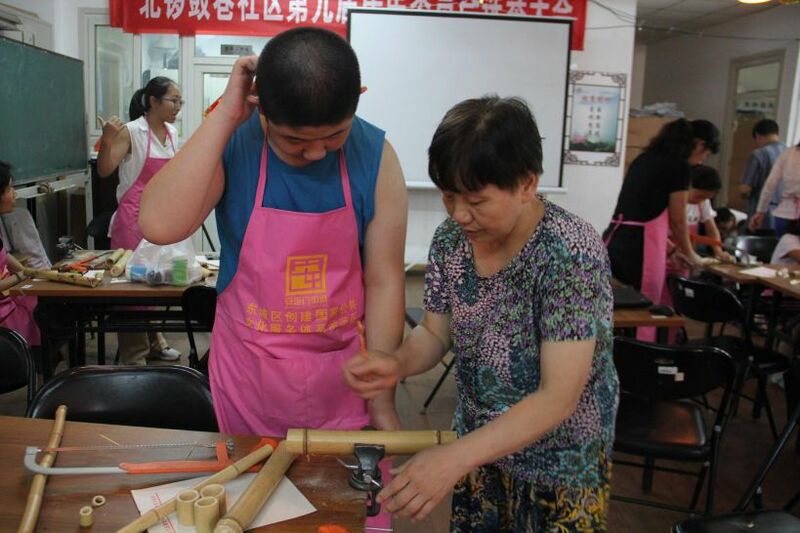 Observing the many scraps of bamboo leftover frrom the bike builds and embracing her own love for painting and crafts, Yuyuan designed a workshop with the neighborhood committee to help the two generations create together! Hailing all the way from South Africa, Claudio was a leading partner of BBB responsible for operations, community growth, and all things bike related. He has brought with him a wealth of experience and is our bike expert! Since he was 14 Claudio has enjoyed finding different ways to ride a bike, whether it’s jumping them off of stairs or throwing them down mountains. When not building bikes, he’s usually thinking about them. If not that, then music is his game and maybe doing a freelance article here and there on the side — usually about bikes. We love having passionate individuals in our community and in case you couldn’t tell, Claudio is really into bikes. Claudio now resides in Wales jumping around with his bamboo mountain bike! Workshop Assistant from South Philadelphia, born and raised, on the computer is where he spent most of his days. 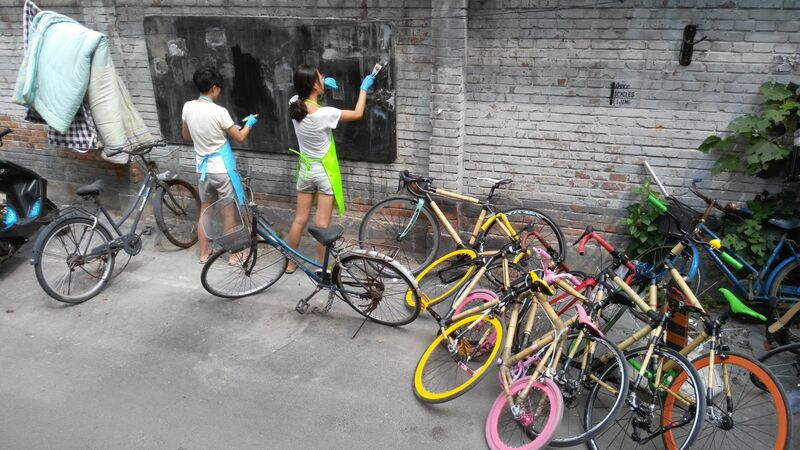 Chilling inside, playing all games and relaxing until I graduated and came to Beijing and discovered Bamboo Bicycles Beijing. Since I made my first bike at workshop #3, I’ve been helping out whenever I can to spread the joy of riding such great bikes. I am a animal lover, bike, lover, and book lover. Also he likes food. lots of food. Ride On! Meet Diana. Diana has hung out at many a workshop and once managed all of BBB’s online content and our community partnerships. She is also the only person who likes to clean up the workshop 😉 With Diana, BBB is growing from a small little neighborhood workshop to a urban community. Everyone is inspired to act on their ideas around Diana. Elton joined BBB as a junior studying at City University of Hong Kong. 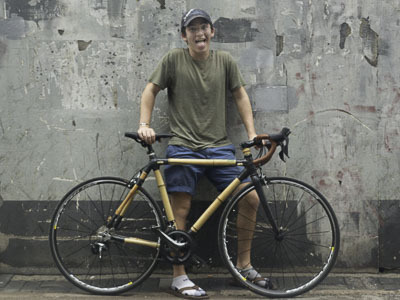 Elton’s dedication in helping out at our workshops led him to become one of BBB’s workshop assistants, and upon returning to Hong Kong he opened his own workshop, BooCycles. Elton is full of ideas and while some say that his ideas are crazy, a genius by the name of Albert Einstein once said, “For an idea that does not first seem insane, there is no hope.” – and we couldn’t agree more! Currently, He loves the idea of how BBB works as a community and enjoys sharing stories and experiences with members of the community, especially with workshop participants from around the world! Cheryl created BBB's first website while interning with BBB in 2014-15. Cheryl picked up cycling more seriously when living in Australia and missed cycling when she moved back to Singapore that wasn’t very bike-friendly. 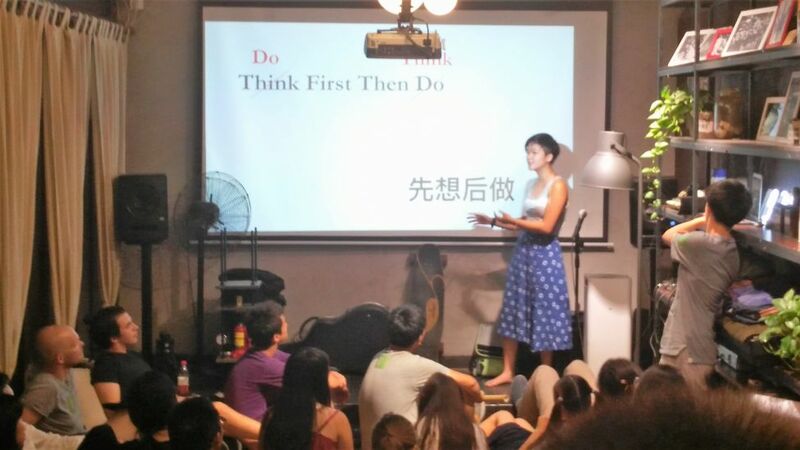 After working for a bit, she decided to come to Beijing to be involved with the community and content media at BBB. 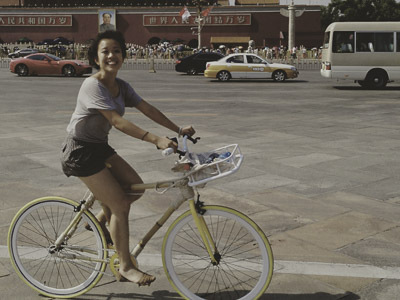 She enjoys the cheap-thrills of cycling in Beijing: dodging motorists coming towards her against traffic, weaving through pedestrians strolling on the bike lane, and her personal favourite – cycling slowly intentionally when there are cars honking behind her to make way for them (in the bike lane). 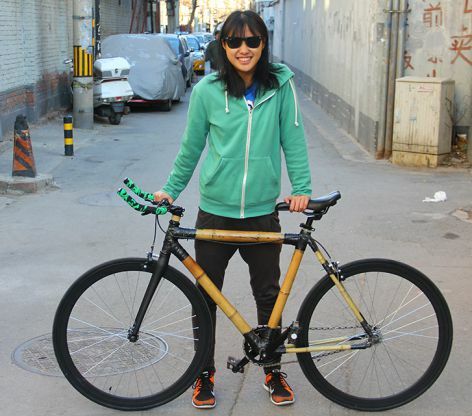 With her newly made bamboo bike, she has been on the hunt to find legit good coffee in Beijing. Justin is a workshop leader at BBB. 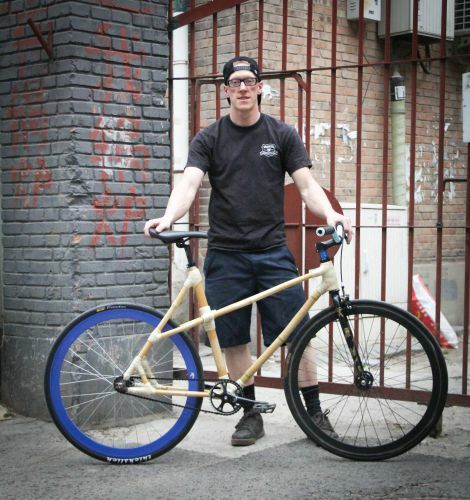 Originally from Oregon, Justin has always loved building things and anything bicycling related. So when he got the golden opportunity to combine the two together, he jumped at it! 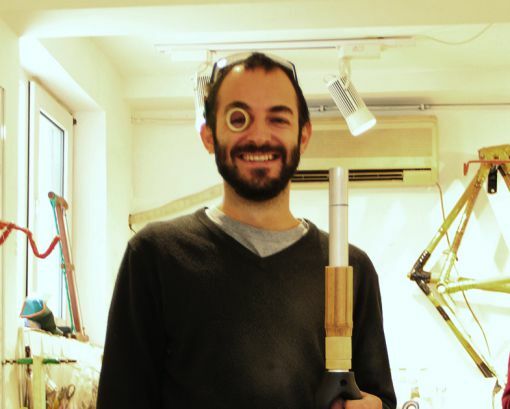 When not working on distributing delicious Belgian beer across Beijing, he exerts his energies thinking of cool new things to build out of bamboo, like tandem bikes, bike baskets, and bike cup-holders. He also loves cooking and talking his dog for strolls in the park. Russ showed up at the workshop one day and assembled all the bike frames he could get his hands on. As BBB's first and only truly qualified bike mechanic, Russ brought some really professionalism to the workshop. 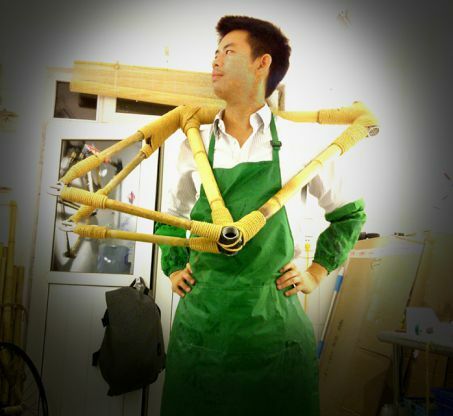 We taught him to make a bamboo bike, and then he made a million more. 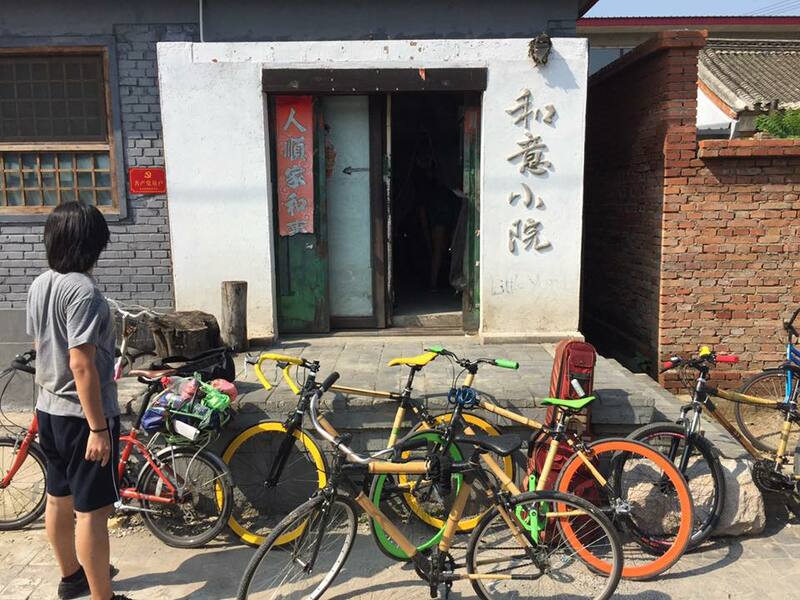 After leaving Beijing, Russ decided to open his own bamboo bike workshop in Denver, CO: Container Collective where he teaches bamboo bike making, runs a full-fledged bike shop, and his wife runs a yoga studio. 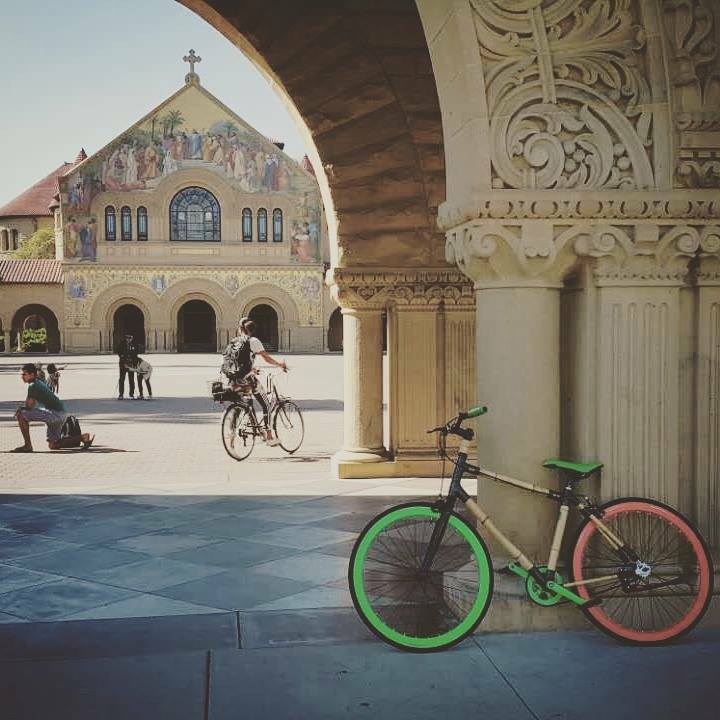 This is by far the best place to make a bamboo bike in the United States! We cannot articulate how much Antonia has contributed to help kick things off at BBB. 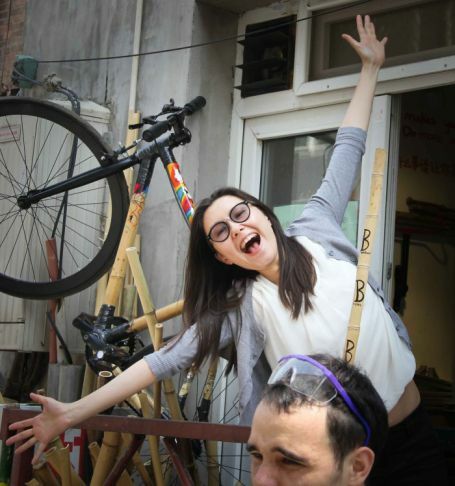 Always cheerful, always friendly, Antonia is our amazing Master Craftswoman and Founder of BBB. Since graduating from McGill University with a degree in International Development Studies and East Asian Studies, she has been on multiple adventures around the world, and seeing BBB come to life is one of them! 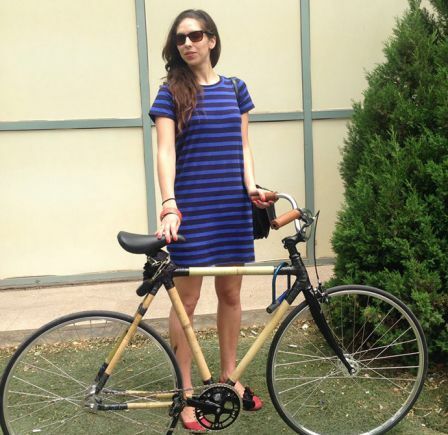 Antonia is passionate about urban mobility, bicycles and all things bamboo related. 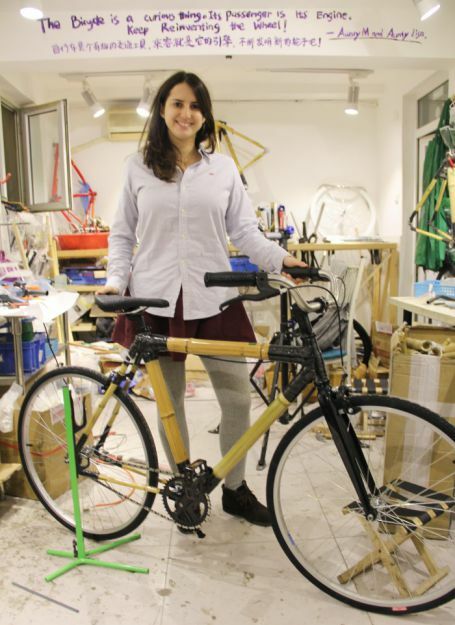 She is a strong believer that building bamboo bicycles in a community workshop will not only foster creativity and hands-on learning, but also stimulate an important conversation about mobility. Having grown up in Montreal and living in and out of Beijing for 7 years, Antonia now calls Mexico City her home. 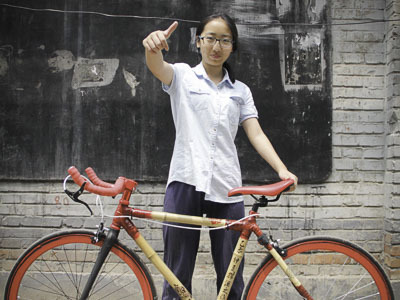 She hopes to work towards a social development project in the future that involves the production of bamboo bicycles – awesome, we can’t wait! Go is our go-to guy for anything related to photography and video. He grew up in Japan, spent most of his twenties in the States, and is now currently based in Beijing as a freelance photographer/videographer. Over the past 4 years, he has been in pursuit of his own ethnic passion and working on personal photography-related projects across China. Go have had exhibitions around the world and received the award of Best of American Society of Media Photographer in 2012 – yes this guy is great! Check out his incredible work at his website. Magda made one bike. Then she made another. Then she started bringing friends to make bikes. 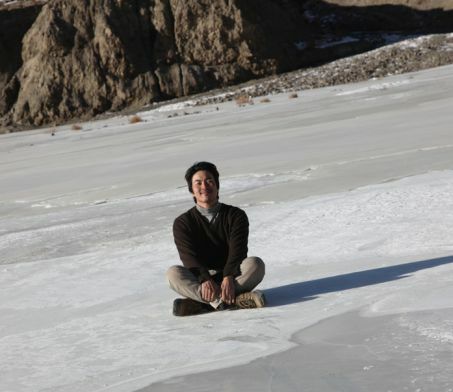 This Chilean student of Chinese and all things adventuresome is a Community Leader at BBB making documentaries, organizing BBB community events, and lending a hand at workshops. 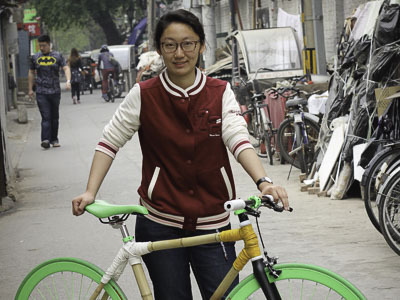 Magda rides her vintage-style bamboo bike all over Beijing and often lends it out to friends who want to take a spin. 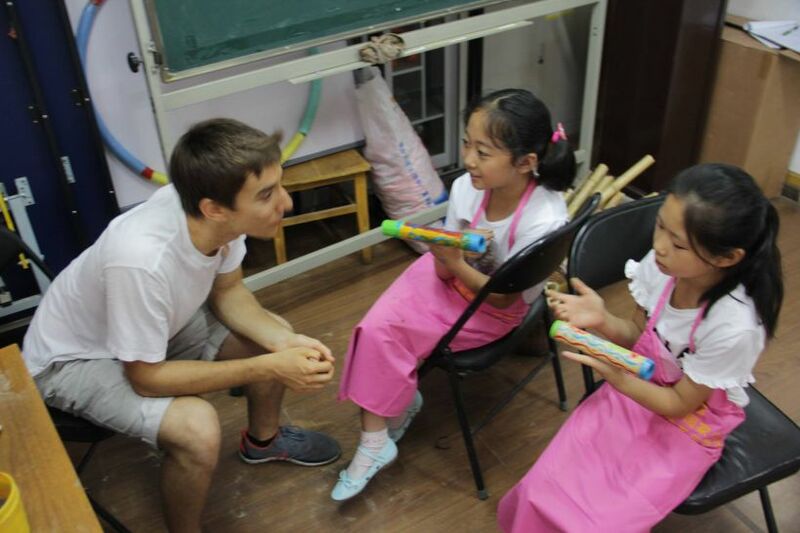 GaoYang loved exploring and meeting people. 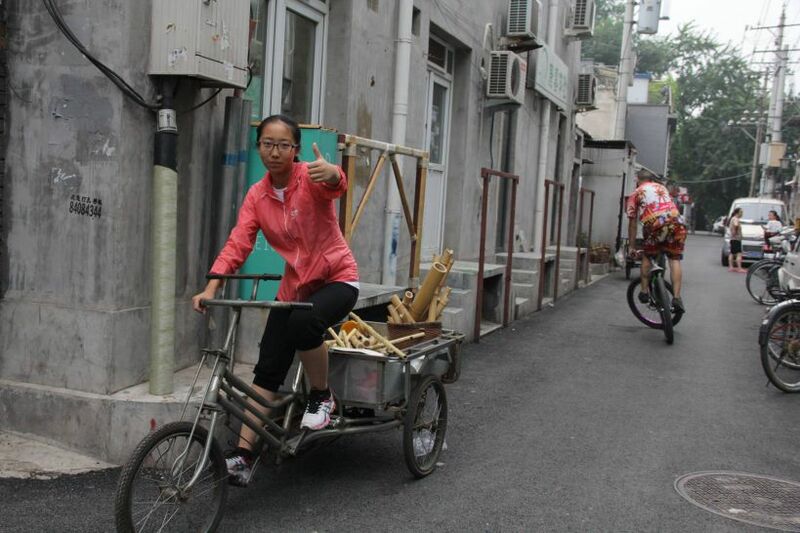 After making her bamboo bike, she rode through the neighborhood interview BBB's neighbors and bringing them to the workshop. 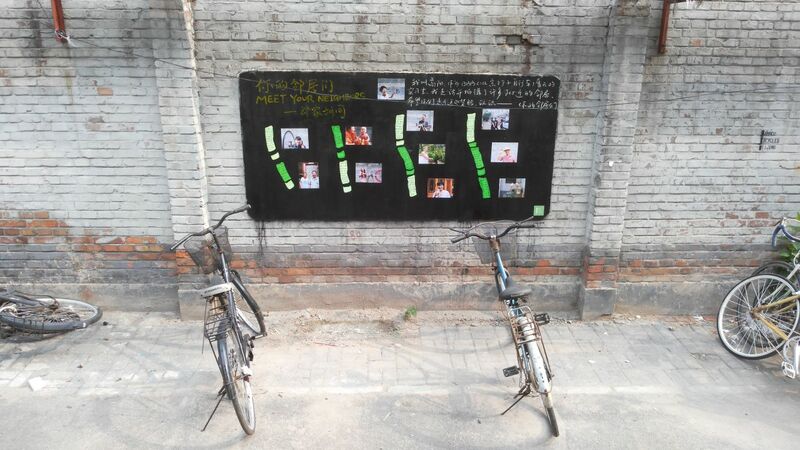 She and her girlfriend made a messageboard outside of BBB introducing the community neighbors, including BBBers, so that everyone could continue feeling comfortable meeting each other! 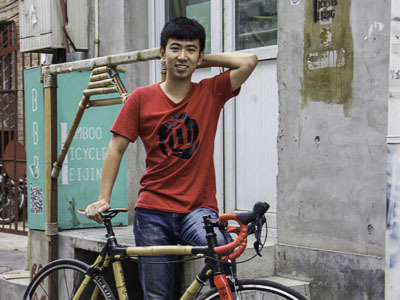 Bamboo Bicycles Beijing Fellows: The Class of 2016 from David Wang on Vimeo. Eason has always thought about organizations, management, and marketing. 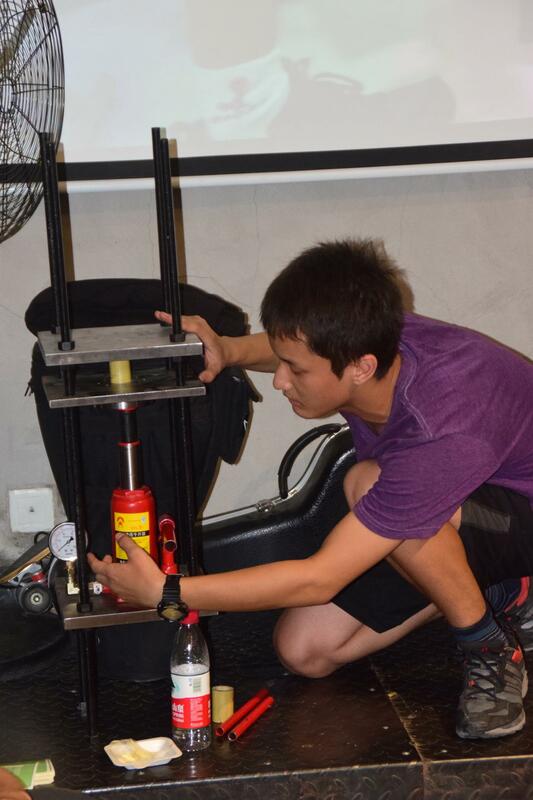 As a junior in university in Fujian, he came up to Beijing for the summer, built a bike, and decided that he would love to get more young people in the door. 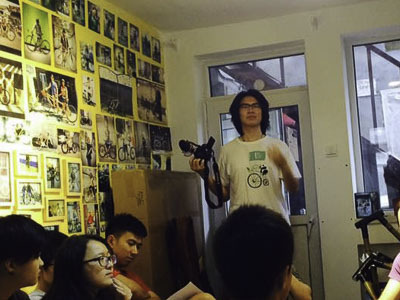 He got the message out by beginning to partner with local youth hostels and businesses, developing BBB's WeChat, and connecting with other media. I was first introduced to BBB by Max Feldstein Nixon, we’ve been friends since 2 years back and I was more than happy to spend another summer with him in Beijing. 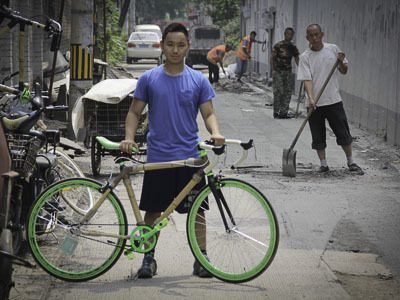 Building bicycles using bamboo first sounded to be like a somehow strange but absolutely awesome idea, and the fact that I enjoy cycling myself but haven’t been involved in any official bicycle-related activities made it a even more exciting opportunity for me. 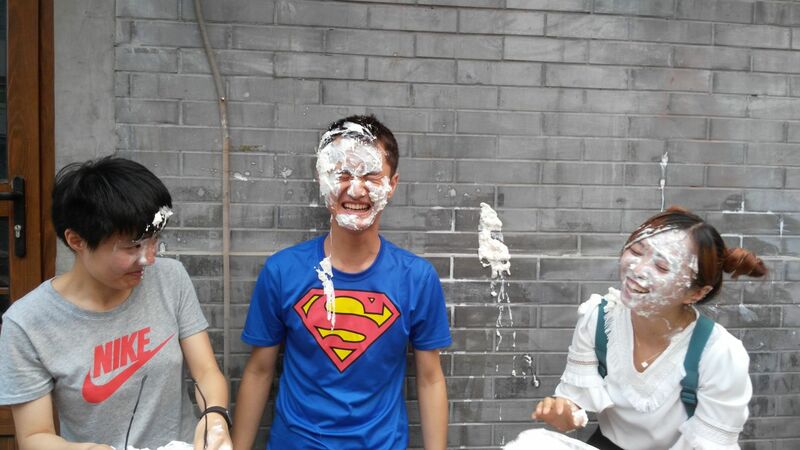 I did expect BBB to be a fun place and myself to be doing fun stuff before I went to Beijing, however, I did not anticipate how much fun it actually was. 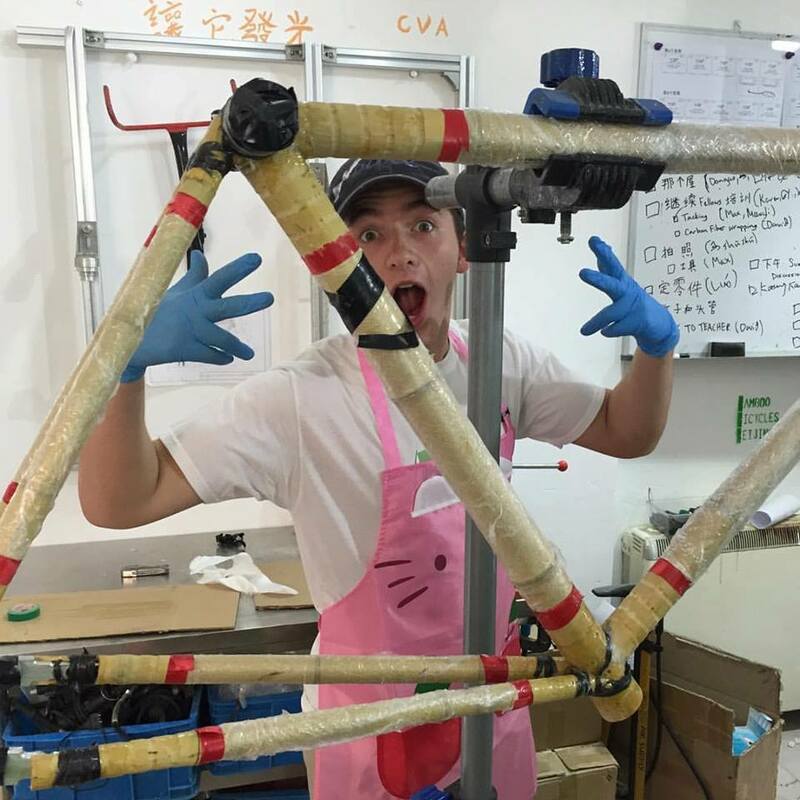 Along with other summer interns, I was taught to build my own bamboo bicycle from scratch; the amount of details involved in the process never stop to amaze me, which makes the integrity of the final bike frame beyond impressive. Once built, it undoubtedly became my favorite bike of all time, not only because it looks awesome but also that I built it (thanks to the help from the others in BBB) by myself. I was able to develop all sorts of bike related skills (not sure if 拔罐 counts), and I have grown (hopefully) from worrying about breaking a bike all the time, to finally being able to fix the bike that I have eventually somehow broken. (And of course not ending up breaking that many.) Thanks to BBB, I started thinking about the cause and solution of existing problems before getting my clumsy hands on them, which has made many aspects of my work more efficient and my hands not that clumsy.I also thank BBB for enabling me to become friends with some of the coolest people I have ever met in my life so far. David, Candy, Karen, Marshall, Eason, Claudio, Mowgli, Dangao…. Every one of BBB’s members has his/her own unique and interesting life experiences that makes me jealous yet grateful for being included in such a community, I believe and appreciate the fact that more stories are yet to be told by us and more people are yet to be brought together by BBB. For my summer project, following a report forwarded to me by David, I assembled a bamboo strength testing machine that was able to perform multiple tests on different pieces of bamboo. 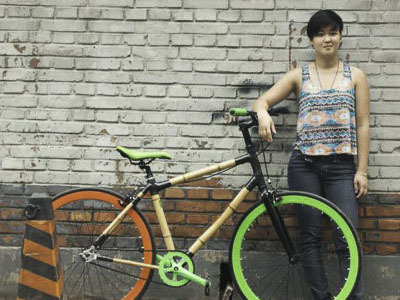 I noticed that when people first hear about the concept of bamboo bicycles they always address the concern regarding bamboo’s strength, and it is commonly believed that bamboo is not reliable as bike frame building material. Therefore, using the test machine I carried out 2 experiments testing both bamboo’s compressive strength and flexural strength in order to give a quantitative measure of its property and visually prove bamboo’s reliability at the same time. 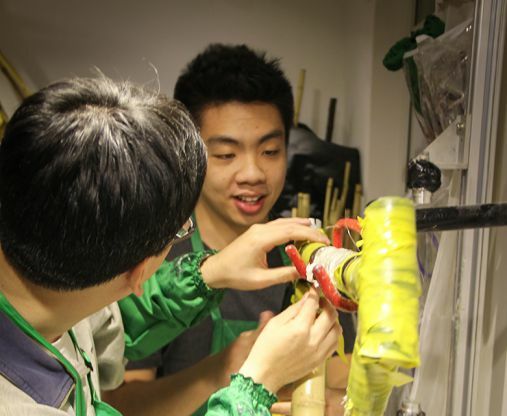 The results are promising, it was seen that a piece of bamboo with a diameter of 5-7 cm can withstand 20N/mm2 which is equivalent to more than 3 tons of force on one such piece, and chosen samples of long bamboo sticks are tested to be tougher than aluminum pipes. Except for the machine being a pain to move around and assemble, I would say the outcome was encouraging. Although the summer fellowship ended a month ago, many moments still feel like yesterday. Thanks to BBB, I had one of the best summers ever. I need to especially thank Max for introducing me to BBB, supporting me through all the personal issues, pushing me to think for myself, motivating me when I was not in perfect mood, and just being such a great roommate and friend that always supports and inspires me. I would also like to thank David for recruiting me as one of the interns and giving me guidance on my project, without your leadership this summer program would never have worked so well. Also I would like to thank Marshall and Candy for helping us sort out the apartment rentals, thank you guys for giving me and Max such a comfortable place to stay and enjoy. I want to also say thanks to Karen (from CSU), thank you for being such an amazing singer, friend and just an awesome person in general, for always willing to help me and sharing great stories with me. Finally, I want to say thank you to everyone that I met through BBB, being included in this ever growing 牛逼 community is one of the best thing that has happened to me this year. I believe my story with BBB has only just started, and I look forward to all the awesome stuff that are going to happen in BBB in the future. See you guys next year!! 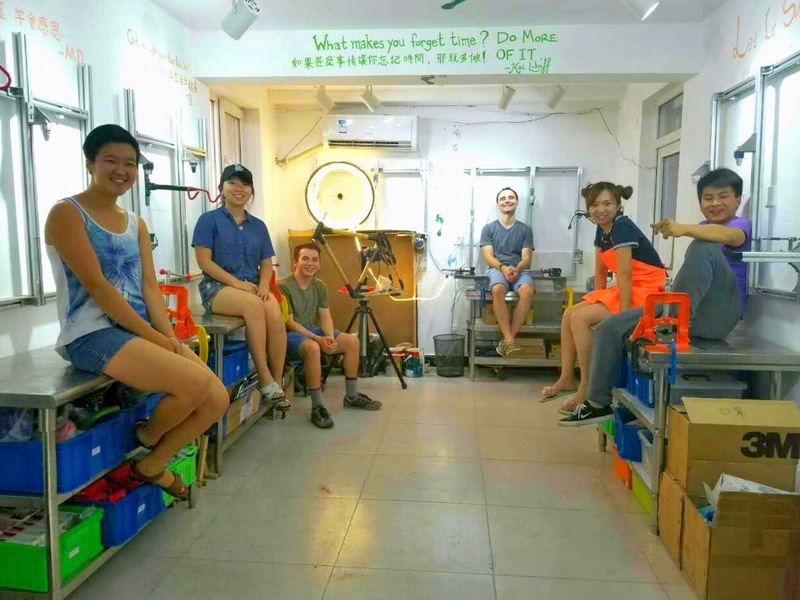 Now that BBB's 2016 Summer Fellows Program has drawn to a close, I'm taking some time to reflect on my experience with Beijing's most 牛逼 group of builders. I came to BBB with absolutely no knowledge about bikes (I kid you not, my bike from freshman year of college was once stolen, then returned within the span of hours, presumably because it was in such bad shape and I never bothered to fix it. This is a story my roommate laughs about to this day). So, I had my initial worries about how useful I could be in a space where I didn't know a hex wrench from a chain tool. Working on my individual summer project allowed me to learn firsthand from one of BBB's mottos: "Do first, then think". We are often taught to plan our actions before executing them, but sometimes even the best-laid plans go awry and it can be more beneficial to just grab an idea and run with it. In developing our summer projects, we asked ourselves how our interests could benefit the larger BBB community. One of the reasons I enjoy biking is because it's not just a means to an end; it's not a way to get from point A to point B but is a mode of transportation that also allows the user to appreciate the view in a way that walking or driving cannot provide. 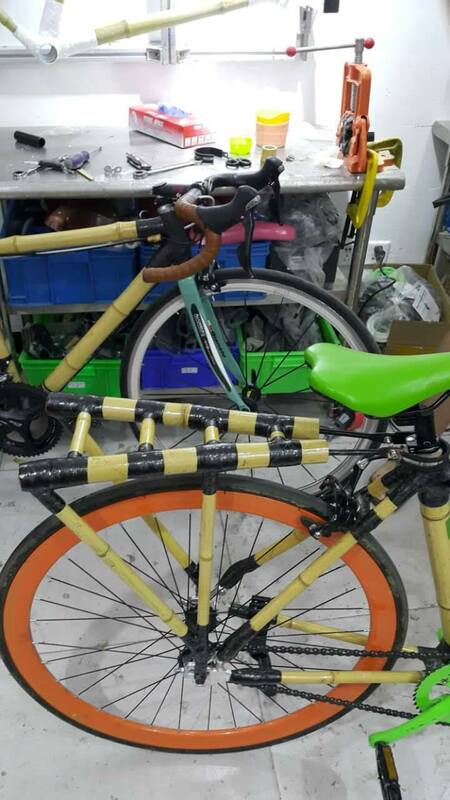 I noticed that very few bikes in Beijing don't have a back rack, and they often carry one or more passengers (animals included), so my first project was to design a removable bamboo bike rack for my bamboo bike. I used a hole saw to make a frame that fitted together, then used carbon fiber and epoxy to reinforce the joints. This project moved along slowly at first because I kept on getting stuck over how I would attach the rack to my bike, but seizing the motto, I made the rack first, and the attachment points ended up being four simple rods with eyelets that I sawed off of a dead bike down the hutong from the workshop. My second project was developed by David and Caroline Jaffe, one of our partners at MIT. Life in the hutongs doesn't stop when the sun goes down, but nobody uses a bike light and it can be quite dangerous for bikers who become invisible to other bikers and cars. 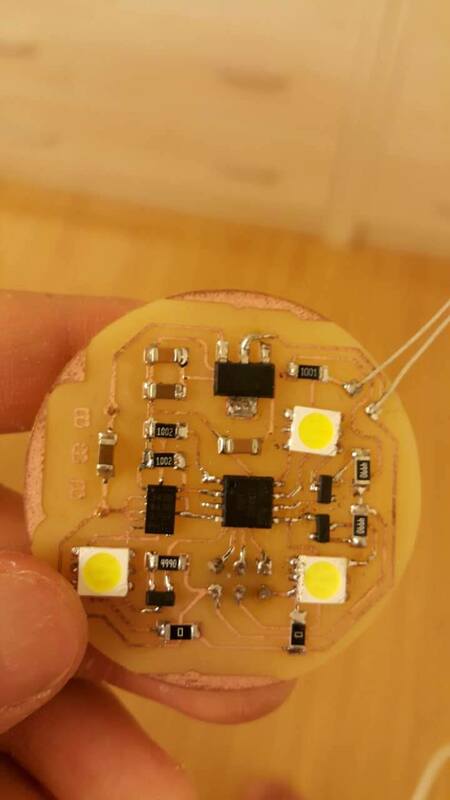 Caroline's prototype is a circuit board powered by LEDs and AA batteries that automatically turns on when it senses acceleration and darkness--a light that turns on at night when your bike is moving. My job was to stuff the board and upload code onto its tiny computer. The first board I stuffed took me more than a day; the third and last one I worked on took me two hours. The project is still a work in progress because I only spent two weeks on it and the only board with code in it doesn’t work properly, but I hope that my experience and mistakes with it can help Caroline if she chooses to run a light-making workshop. I approached this project with no electrical engineering experience (I am a social sciences major), but at BBB I received so much encouragement from people who were more than willing to help me learn and learn with me. Many thanks to Caroline for designing the board, providing me with components and clear instructions, and being so willing to Skype with me and work through bugs! It's a bittersweet feeling for me to reflect on a summer that has passed so quickly. There's a saying that goes, "Time flies when you're having fun". At BBB, we say, "What makes you forget time? Do more of it.” I have spent this summer doing what has made me forget time, whether that be learning how to solder without burning my fingers, teaching someone the basket wrap, or just making things with bamboo. BBB is as much about community as it is about making bikes, and I am so grateful to my fellow Fellows for sharing their passion for bikes and their other interests with me. Many thanks to Stanford's Haas Center for Public Service for the grant that made my time with BBB possible, and to MIT IDEAS Global Challenge for its support of BBB! If you're ever in the area, please come say hi. We would love to meet you. A year ago today, I had never used or even held a saw in my life. In hindsight, it therefore seems kind of crazy that I thought it would be a good idea to reach out to David last fall and ask if we could build some bikes in Boston. 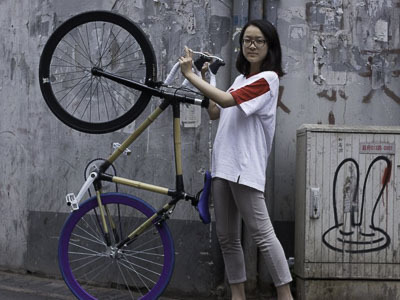 While I would learn a great deal over the following 9 months, it would take participating in BBBeijing’s Summer Fellowship Program to really understand bamboo bicycles and what their value is. I came to China on June 17th without a bike and without much confidence in my ability to be a productive member of our summer community. 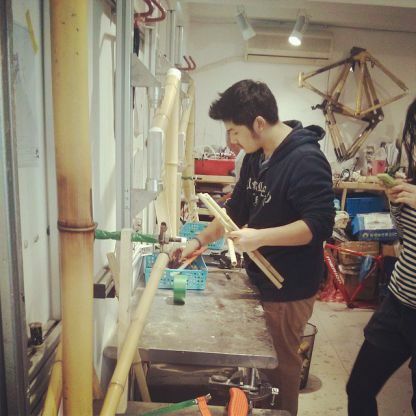 Over the following 8 weeks, I not only learned the skills necessary to make my own bike but also gained the confidence required to teach a group of people as unskilled as I once was (which is very unskilled) how to make their own bamboo bicycles. While developing the skills and confidence necessary to be a workshop leader, I also completed two projects for BBB over the duration of the summer. Marshall (aka Ma Shushu, aka Horse Spoon), Karen (CSU! 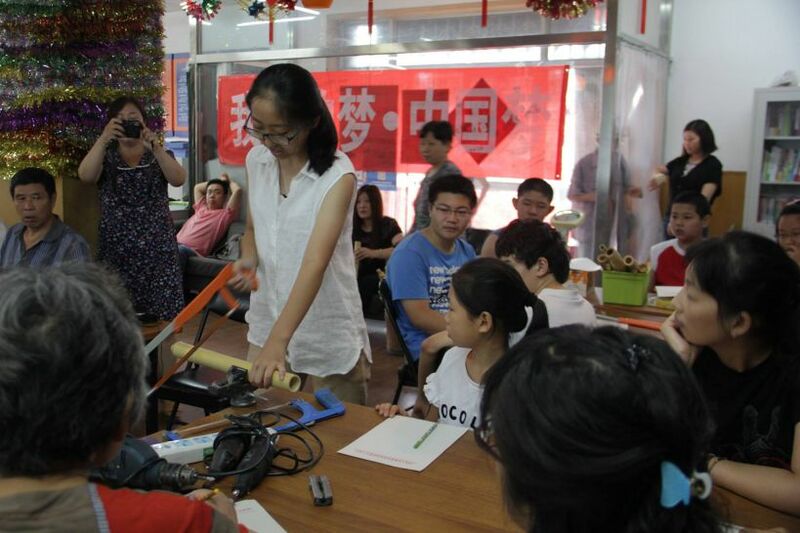 ), and I collaborated over the first half of the summer to create a Chinese to English dictionary for the workshop. 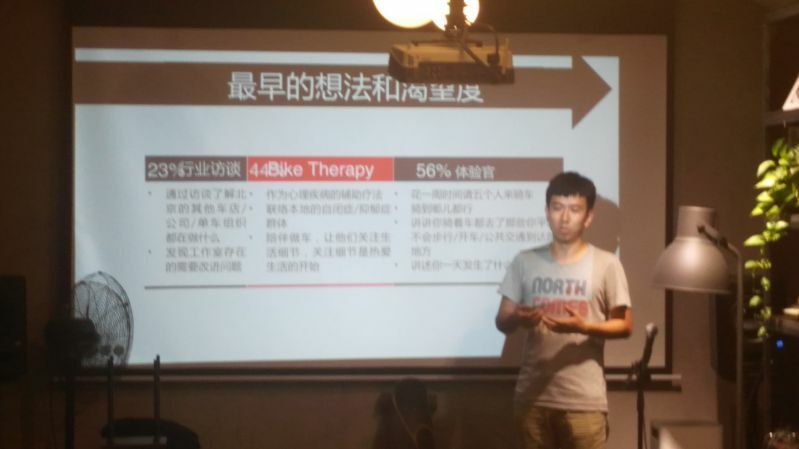 Coming into the Beijing workshop, I had initially been confused by the countless number of words in not only Mandarin but also English that I was unfamiliar with. Our dictionary placed a picture and the translation in Mandarin, Pinyin, and English together on a page so that people interested in picking up the lingo necessary to understand bamboo bicycles could do so regardless of the language they spoke. As well, I created a very short film showcasing the steps to build a single bamboo bicycle over the course of a two day workshop. The goal was to not only capture and share the motions that go into building a bike but also the spirit of BBB and its community within the making of a single frame. While I can’t post it currently because my computer is currently in the shop, you can expect to see the video pop up here in the coming few weeks. I would like to thank MIT IDEAS Global Challenge for their support of BBB and myself, without which this summer would not have been possible. I would also like to thank the BBBeijing community for so wholeheartedly welcoming me into their midst; it made living on my own for the first time infinitely easier. I would also like to specifically thank Marshall for all the help in getting me out to China and navigating a foreign and unfamiliar city; I could not have done it without you. As well, a thank you is due to the entire BBB fellowship group for being so totally 牛逼 and teaching me so much new Chinese! Finally, I would like to thank Candy and David for their friendship with me this past year and their inclusion of me in BBB’s plans for this summer. You guys saw and pushed me to be a person that I often could not see myself; thank you for challenging me and being patient while waiting for me to catch up! I’m really glad I got to spend this past summer living in Beijing and am looking forward to more and adventures and awesome bikes in Boston this coming year. If you’re ever in or around Boston, drop me a line and we can make some awesome bikes! 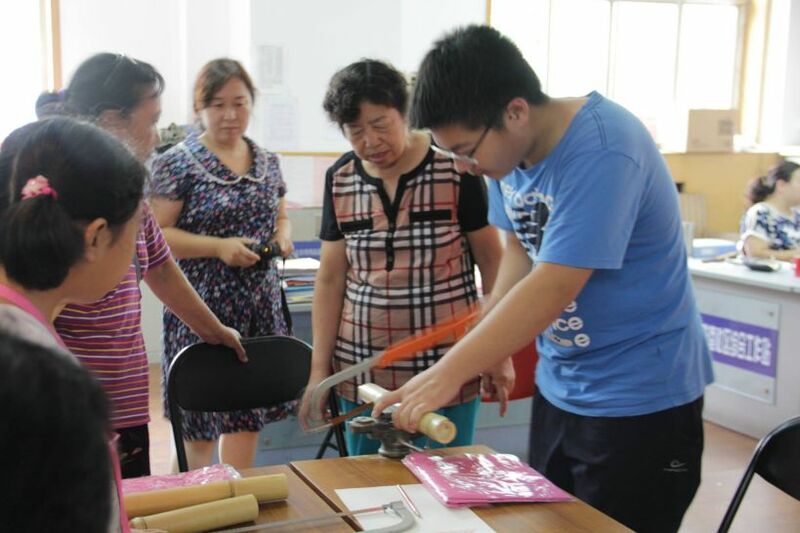 BBB's 2nd summer intern, Yuyuan, wanted to see how she could use the leftover scraps of bamboo from making bikes and lead her own workshop teaching neighborhoods kids and elderly to make their own bamboo crafts! 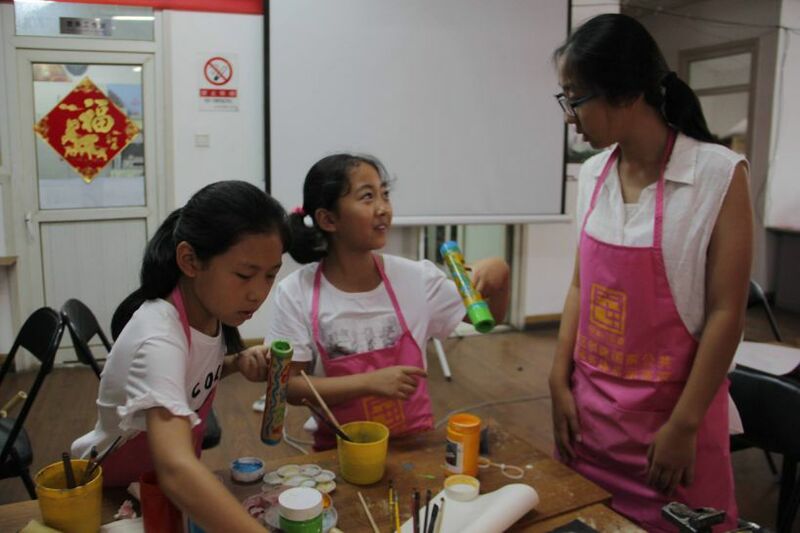 She organized a workshop with the neighborhood committee down the streets and led a super successful workshop on her own... China's high school students amaze BBB at their capability! Here is her (rather official) summary of her event. Jackie came across BBB as a high school senior. Preparing for his first year of university in the USA, he decided to spend the summer as a BBB Fellow. 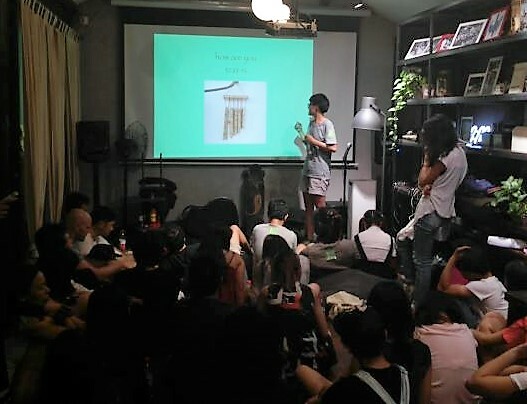 He focused on too projects: 1) Networking with local businesses and making a map of them; 2) Making bamboo stuff like a bamboo skateboard! Check out the video he made for his univeristy!